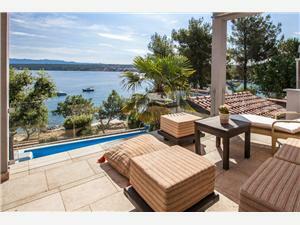 Holiday house Ana is perfectly situated right by the sea in Vantačići with a beautiful panoramic sea view. 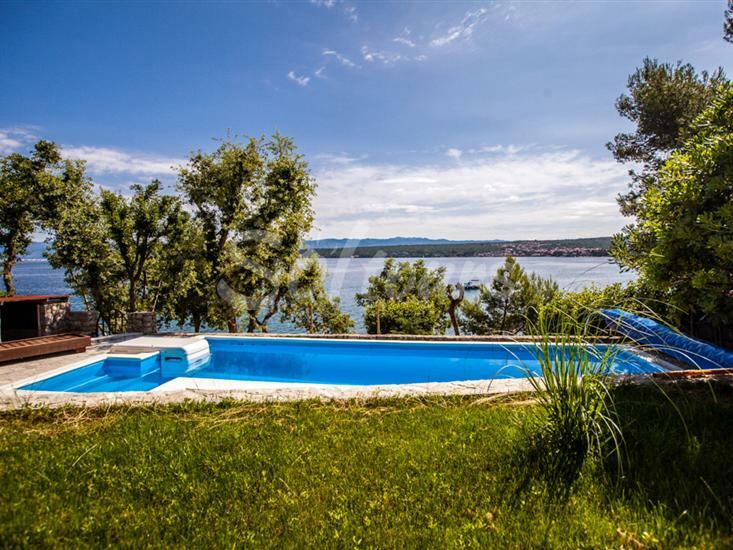 It makes an ideal holiday house for larger families and friends who can all together enjoy the refreshing pool, swimming in the sea, relaxing in the sauna, barbecuing and hanging out together enjoying a glass of wine till late in the night and then retreat into your piece of heaven. If you are looking for a place to escape and spend family time or if you are after an active holiday, which includes cycling, you can totally fulfill your wishes by choosing this holiday house. A family bicycle ride, resting by the pool and enjoying the sauna are just some of the activities you can indulge in while staying with us. The house contains one apartment on the 1ˢᵗ floor with 3 bedrooms, bathroom, living room with dining room and a spacious terrace with a view of the sea. Up to 5 people can be accommodated on this floor. On the ground floor there is other apartment with three rooms, 2 bathrooms, living room with kitchen, and it accommodates up to 6 persons. The ground floor continues into a garden with a BBQ for enjoying moments of fun and a pool and a sauna. You can exit directly from the garden onto the beach. 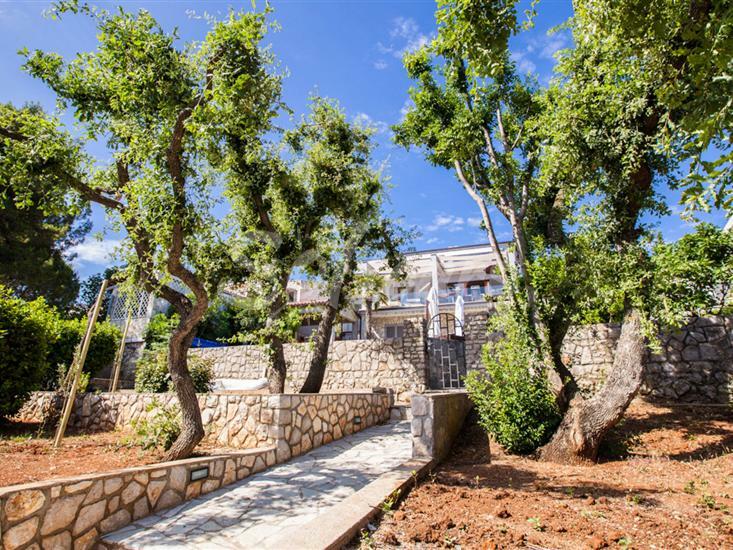 You can also reach the town center with a leisurely walk by the sea.